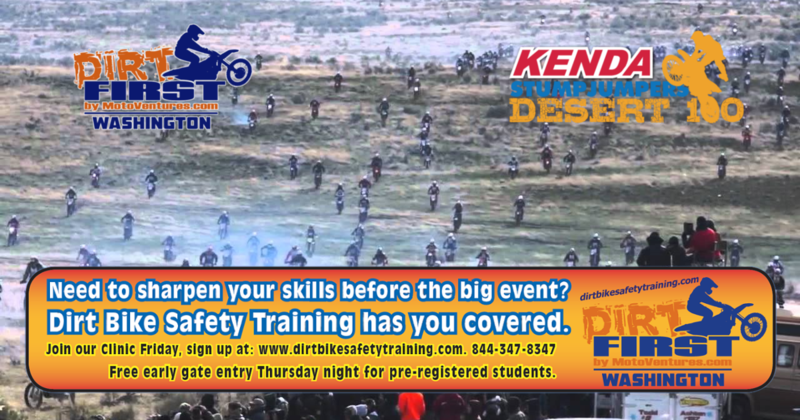 We will meet at the Dirt Bike Safety Training booth #21, on vendor row, at 10:30 am, ready to ride. The 4 hour clinic will start at 11 AM and will run until about 3:30 pm. Space is limited, register now for $125, or $149 at the event. We will have a limited number of bikes for use at this clinic, so register early to secure this option. Free early gate entry Thursday night for pre-registered students. DBST, LLC will pay for your Thursday night gate fee, if you are taking Friday's Clinic.